Home » Blog » Should you consider teaching English in South Korea? Should you consider teaching English in South Korea? Back in 2006, my life changed forever when I was granted a one-year contract to become an English teacher in South Korea at one of their public schools. I would become an assistant language teacher helping students and teachers practice their English with me. At the time, I was 23 years old, spoke no Korean and had no idea about Korean culture. I was at a crossroad in my life where I felt like I wanted to pursue my business endeavours, but at the same time I wanted to explore the world. Teaching English in a foreign country was something that I really wanted to do, although I had my sights set on Japan and China originally. The Korean opportunity came about unexpectedly when I answered an advertisement in a newspaper. From there, my life’s fate would change. So if you are in a position where you are considering to teach English in South Korea, I will share my experience with you and perhaps this can help you to decide whether you would like to embark on this journey also. Teaching English is a rewarding job. You will have the opportunity to grow out of your comfort zone. You will get the opportunity to learn about the culture. 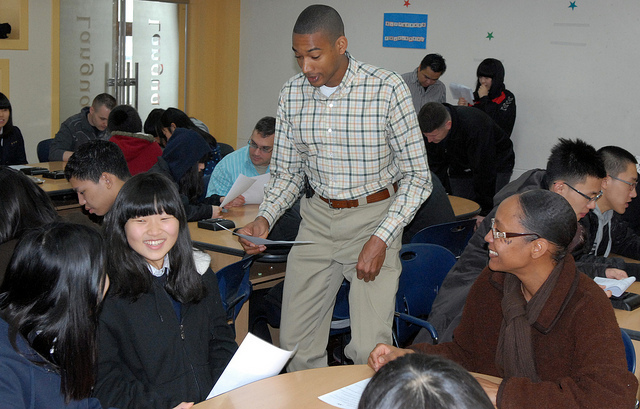 You can earn a good income as an English teacher in South Korea. You will get exposed to a lot of Korean food. You will get the chance to learn an awesome language. Korea is a lot of fun! Watching movies at the cinema. Late night shopping and markets. Having the chance to explore Korea! How can you get an opportunity to work in Korea? Prepare yourself to become an English language teacher. How much does it cost to get a TEFL course? Is a TEFL course recognised internationally? Do you need a degree to teach English abroad? Out of all of the jobs I’ve had, teaching English was by far the most rewarding job that I ever had. The reason why I felt it was so rewarding was because I was empowered to teach people a life skill. Seeing the children grasp their knowledge and competence in the English language to the point where they could communicate with me effectively and even share jokes was amazing! I’ve also been fortunate to see a few of my former students apply their language skills to their careers and even their own travel endeavours. When I went to South Korea back in 2006, I was young with no knowledge of the Korean language or even my whereabouts. (It was the era before smartphones). I had been placed in an area called Changwon. At the time, it was considered to be in the countryside. Being completely immersed in an environment where you looked different, spoke differently and had the inability to communicate in that environment was extremely challenging. Everything about myself had to be built from scratch. My time in Korea allowed me to discover my strengths, passions and direction in life. The challenges that I was presented with forced me to take action to overcome them. I started to study Korean regularly at home so I could start to talk to people. It would take me six months to start communicating with people in basic Korean, but it allowed me to forge relationships with people which was fantastic. 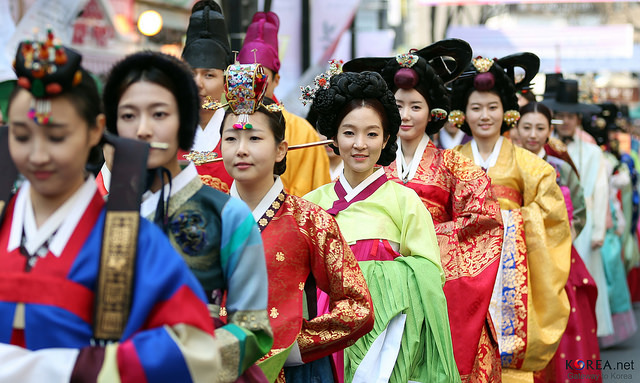 The Korean culture is completely different and authentic. Being there, you will learn about their way of life, the pride for their country, manners, norms and behaviours. I was earning approximately $2000 USD per month. As a teacher that worked for the government school, we had a reduced tax rate that saw me pay no more than 10% of my salary. The deal I was on at the time also allowed me to have free accommodation and I just had to pay for my expenses. The most expensive bill for electricity and gas that I had was $90USD and the cheapest was $6. At the time, I lived in a studio apartment that was brand new with a television, cupboard and bed. At the time I was a young, single man, so the accommodation was more than sufficient for me. I wasn’t drinking at the time, but went to a few restaurants and played outdoor sports with the locals. Over the year, I would earn $24,000 USD and I saved $7000 USD, as the rest of the income was spent travelling, exploring and other life expenses. 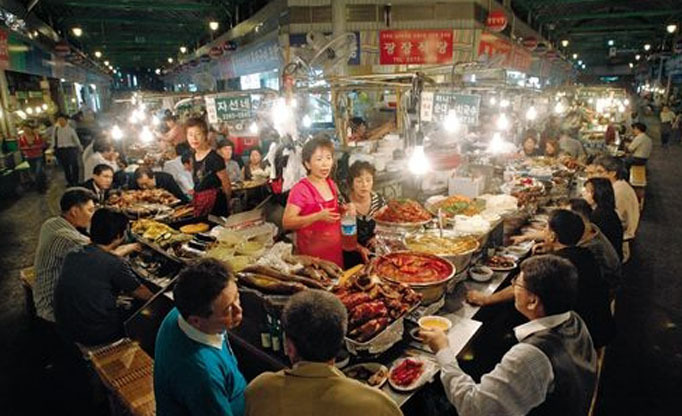 You will have the opportunity to experience so many incredible Korean dishes. My favourites were Galbi (A sweet beef) and takkalbi (a sweet marinated chicken). 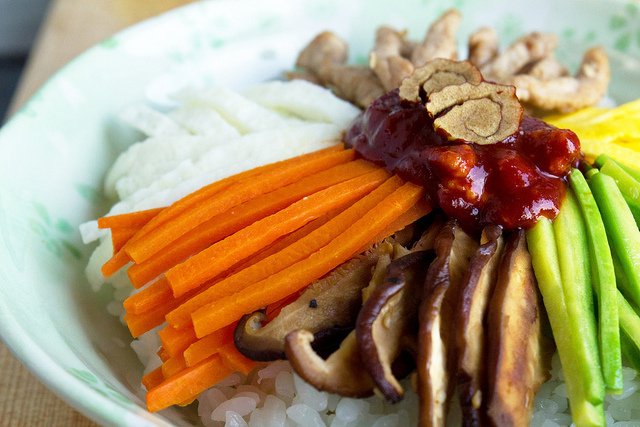 Kimchi is served pretty much with every meal. Try out Korean pancakes and enjoy their vegetable side dishes. Never in my life did I think I would end up learning Korean. The phonetic system of the language is clever. 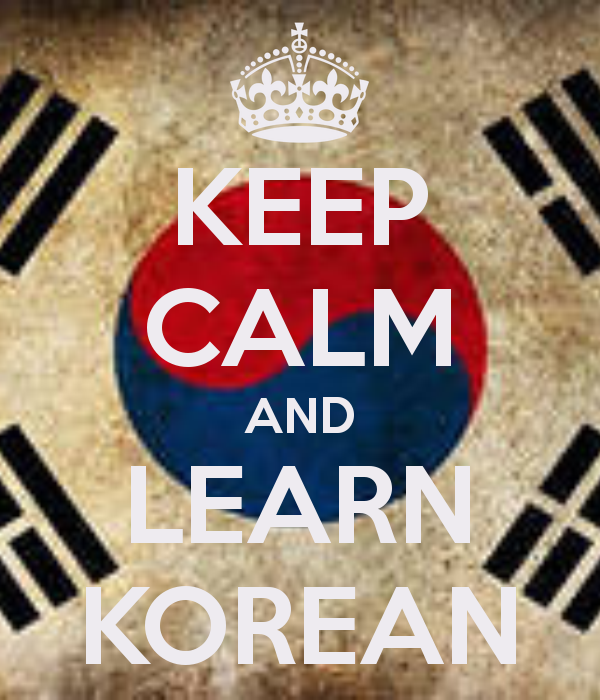 Anyone can actually learn how to read and write the Korean language in a day. However, speaking with clarity of diction is challenging for most native English speakers. Many Koreans would say that speakers of a Sanskrit language like Tamil or Hindi could pronounce the Korean sounds correctly to the point that they actually sounded Korean. For me, it took about 3 months to start to pronounce basic words correctly, but people began to understand me around the six-month mark. I can definitely say that grasping the language during my 12-month stay was very rewarding. As a young man in my early twenties, I was able to enjoy myself a lot in South Korea. The thing I liked the most about South Korea was the 24 hour culture. This would vary from city to city, however if you wanted to stay up doing something unique through til the early hours of the morning, you could have that opportunity to do so. Some of the regular activities I would participate in are below. If you like to belt out a few tunes, then going to the noraebang will be the place for you. They are everywhere and they are relatively inexpensive to go to. Simply book a room and choose your song. Just check that they have English songs available. If you are into video games, then a computer or gaming house will be the ideal chillout spot for you. Simply find the games you enjoy and book out a time to stay and enjoy your favourite games. I loved going bowling when I was in Korea. There were places open until 3am in the morning. We would have games as our pre-nightclub ritual. There are some lovely parks you can go to relax and enjoy the scenery. Locals will often go with their friends and enjoy a picnic in the park. At the time, we would always go to a Korean nightclub called Bliss. They would have a young crowd of Korean men and women that wanted to dance the night away. We would get the chance to dance to Korean pop music and American music. Quite often, I would travel up to Seoul and enjoy the nightclub scene in Hongdae, the University hub of Seoul. Alternatively, we would head down to Gangnam and party til the early morning. If we could afford it, we would also go to Apgujoeng to party with the Korean celebrities. Another thing I loved was watching the late night movies. The shopping centre in my local city at the time had a Lotte Cinema. Some of the late night screenings started at 2am in the morning. You could shop in the above ground markets and supermarkets or you could wander under the streets and shop in the underground markets. There were plenty of places to find bargains. You can find these in most places in Korea. A great place to relax by soaking in the baths, going through your cleansing process and even enjoying food and games at the restaurants inside. One thing to keep in mind is that there are separate areas for men and women and that being naked is usually required. At the time, I was a keen basketball player. The sports park in the city was open until 12am at night. You could play basketball under the lights and then catch the last bus or a taxi home. Keeping fit was easy, but you could also have a chance to meet new people on the basketball court and engage in a friendly match. I spent most of my spare time at the gym when I was in Korea. It gave me a great opportunity to meet Korean locals while I was aiming to get bigger and fitter. Even with the language barrier, most men are thinking the same things when it comes to bulking up! 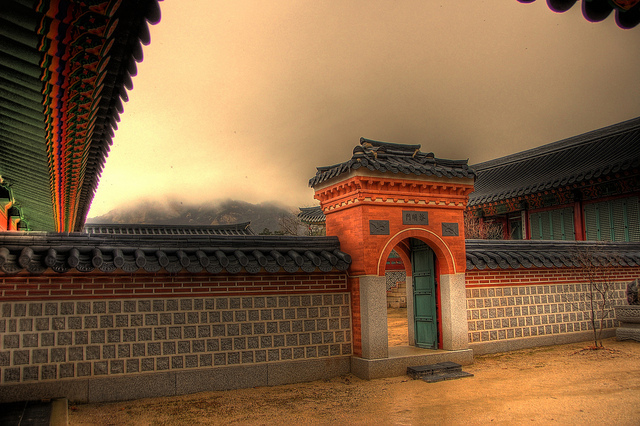 Korea has so much to offer in terms of exploration. You can wander up to the Bosong Tea Gardens, explore the beaches at Haeundae, feast on the natural wonders at Jeju Island, participate in the mud festival or even visit the DMZ. You have the opportunity to have an action-packed adventure when you explore Korea. Best ways to explore Korea is to jump on the KTX (if you can afford it) or to purchase bus tickets to your desired city. There are usually several opportunities in private institutions (known as Hagwons) where they pay more, but you tend to work irregular hours, receive a higher pay, fewer holidays and the work is more intense. Alternatively, you can apply to go into a public school. Some of the best places to check out opportunities include Worknplay.co.kr and Dave’s ESL Cafe. I would suggest doing some type of formal training or at least learning a curriculum that you can work to so you can teach your students. When I went to Korea, I didn’t have any training and had to learn along the way in a class full of 20-40 students, which was very difficult at the time. You can take an inexpensive course from My TEFL to learn how to become an English language teacher. You can get the premium language course, which is $200USD. If you get a job in South Korea, you will earn $2000USD a month. You can opt to take a 4-week course, which is available online with My TEFL. Any course aimed at training you for teaching English as a foreign language can be referred to as a Tefl course. The two most internationally recognised qualifications are the Cambridge Celta and the Trinity CertTesol. No they don’t. Once you receive your certificate, they are valid for life. It depends on the country where you decide to teach. In South Korea, you do need a degree to teach the language. What are you waiting for? Take a chance and enjoy Korea now! Note – There are affiliate links in this post, however the opinions and experiences are my own. I am an 81-year old retired (BLACK AFRICAN)medical practitioner. I am in good health. I only stopped work in January, 2016. I’ve just completed (23/02/2017) the TEFL course in East London. I feel, despite my age, I could help health professionals who want to look for professional work in an English speaking country with basic technical terms and everyday English language. Hi Aubrey. That’s good. Do you think you would apply to work in South Korea?